← Journaling along with Sarah, the beginning. 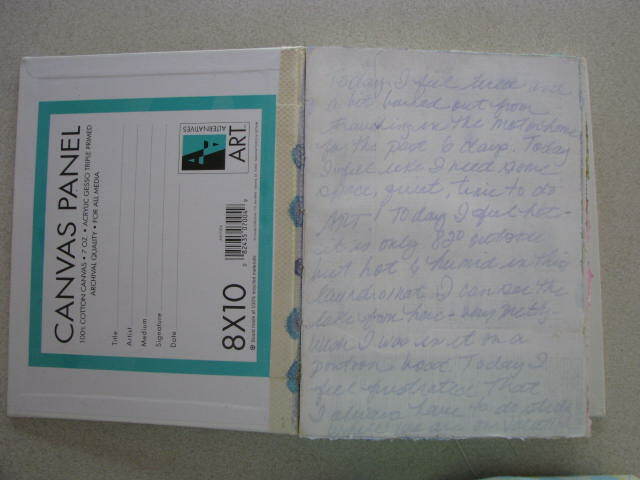 Following Sarah, the second lesson was to dry brush gesso over the first three journaled pages. 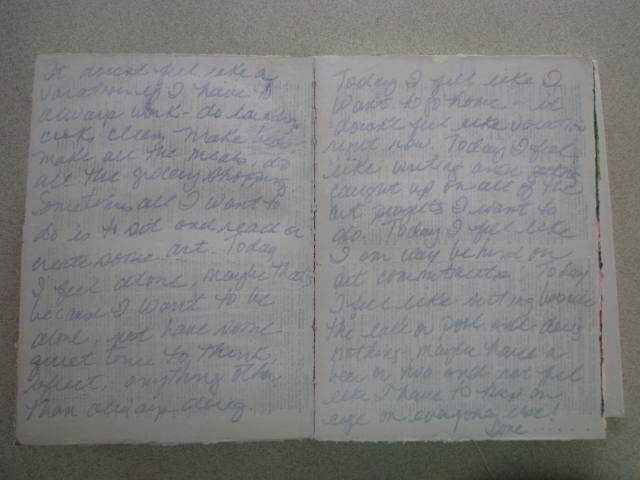 Once that dried, take the first page and write your name all over it, claiming the journal as your own. Here is my interpretation. I used Sharpie markers, highlighter pens and rubber stamps with Staz-On ink. I didn’t like the sharp contract of the white gesso background against the bright colors of the markers so I used some Prismacolor pencils and shaded the background with blue, yellow and bit of pink. Something interesting caught my eye as I was shading in the background. 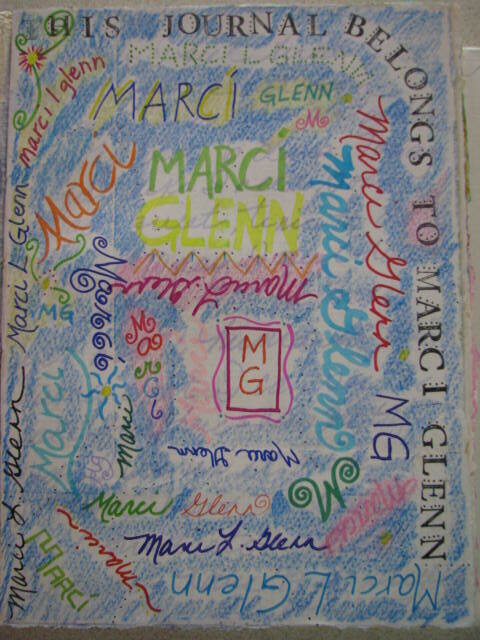 Underneath the yellow highlighted “Glenn” in the center of the page, you can see the words “quiet time” showing through. I decided to leave that as a reminder to me to enjoy art and take some quiet time for myself.